PF001 - Potato Deep Fryer - Lifco Technical & Trading Co. 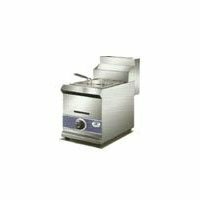 Potato Deep Fryers are usually found in commercial kitchens – it is available in different models with varied features. We also give deep fryers at Lifco Technical Trading Co. that are sturdy, robust, and resilient enough to operate on your daily commercial tasks.